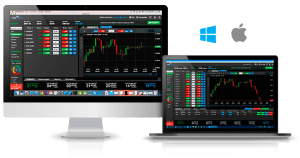 Trading Platforms or Trading Terminals are exe based softwares which can be installed in a desktop or laptop to carry out trading activities. In this article, we will have deep understanding of Trading Platforms, their features, advantages & more. History of Trading Terminals or Trading Platforms? Until about the 1990s trading in Stock Market used to be a physical activity. Traders used to go to the Stock Broker’s office or the Stock Exchange, check the current day’s value of each stock, figure out which stock they would want to invest in and then place the order with the Broker to buy or sell the shares they desire. However, with time things changed. With technology’s intervention, the Stock Brokers advanced in their systems and everything started happening through the Stock Broker’s portal. The Stock Exchange started giving licenses to brokers to access their portal and place orders on behalf of them directly on the portal. That’s when the traffic of calls or traders’ visits increased at the Broker’s office since he would place the order for them on the portal. Now, processes have further simplified. The Brokers have now developed Trading Platforms or Terminals to which they have given the direct access to the traders who can go ahead and place orders themselves. This was a phenomenon launched by the Discount brokers, who desired to operate their entire business on an online mode rather than any physical interaction. Know everything about Trading Terminals – Open Demat A/C Now! What are Trading Platforms or Trading Terminals? Trading Platform or Terminal is an intermediary software provided to the trader by the Stock broker. With this trading tool he can directly place orders (buy or sell shares) without being required to call the broker or visit his office for the same. The Terminals or Trading Platforms have made interaction and trading simpler and taken off the load from the Broker. Traders can handle the complete lifecycle of trading through the Platform; they can buy or sell shares, monitor their funds and transactions, check real time live updates from the market, see current stock quotes, take expert advice from the Stock Market experts, analyze market trends and a whole lot of other things as well. The above mentioned are some of India’s Best trading Terminals. They are offered by their respective Stock Brokers for the convenience of their customers. The Trading Platforms are developed by the Stock Brokers keeping in mind their clients’ requirements and demands. To keep pace with other broking houses, they have to keep on upgrading the trading terminals. This is the most critical feature and it is something that every Trading Terminal would have. The Trading Platform is equipped to bring to you the current prices of stocks of various segments. Some of the Terminals have built-in capability to handle all segments together, i.e. 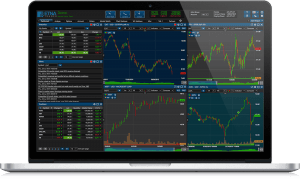 you can trade in currencies, commodities and derivatives all in the same software. Every Trading Platform would provide you a clear and user-friendly interface to place the order in the most convenient way. Some Platforms have also created videos on “how to trade” using the platform for better understanding of the new entrants. One thing that all Trading Platforms would keep a close eye on is its speed and efficiency. Considering the pace of the Stock market itself, no customer would like to trade with a slow and complicated trading tool. Traders moved from traditional mode of trading to online Trading terminals because of its analytical capability. Trading Platforms are equipped with advanced Analytical tools that can merge historical data and trends and do predictions accordingly. These tools are designed in such a way that they workout for you the best profitable stock investment post the in-depth analysis. As a trader, you wouldn’t need to invest your time and energy in doing these evaluations; the tool will guide you to make the most calculative decisions. Trading tools are equipped with advanced technology charting and visual solutions. They display all data in a simplified and graphical manner which is easy to understand and assimilate. Navigation of the tool is also done in such a way that a novice could also operate it with much ease. Your data and information is all protected in an encrypted format when operating through these terminals. Critical importance is given to data security and hence all companies who get these platforms designed get this validated first. Most Stock Brokers have now deployed their own Trading Platform; however, what differentiates one from the other is the level of trading efficiency the Tool provides and kind of technology inbuilt in it to be able to do so. Any Trading platform would have a trade dashboard from where you can place your orders; however, some Stock Brokers have added additional features to their platform to make it more adaptable to the frequent trader. For a Day trader, time is money; the loss of even a split second means that the deal could get lost. Hence shortcut keys or hot keys need to be inbuilt for speedy tracking of orders and placing orders. Further ordering tools are also enhanced which could deal with complex order types like bracket orders, timed orders, hidden orders, Peg orders, orders with algorithmic scaling and basket orders etc. Regular news feeds is something that is common is all trading platforms. You will get regular market updates and news feeds on your Trading terminal flashed on a daily basis. However, if you are a Day trader, who has to juggle between market trends, expert analysis, current prices etc before deciding on which stocks to buy; then you surely would not have the time to run through all news feeds and keep yourself updated with current stats. There could be a critical market information which your eyes could ckip, hence this Filtered News Feed option comes in handy, wherein the software itself populates which news feeds would be relevant for you as per a built-in intelligence. While Research options are there on each Trading terminal, but the usage and fitment is very generic in nature. 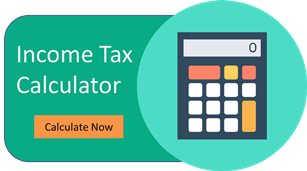 If you want to look up for the financial matrices, Historical earnings, profit and loss magnitude for any specific company and get expert advice also on that company, then this advanced research tool could benefit you. The Discount Brokers who started the trend for online trading were the ones to introduce the Trading Terminal & platforms for customers. The objective was to make the job easier for a trader to trade without even visiting the Brokers’s office or without even calling. Through the online trading platform, he can directly select the stocks that he wants to buy or sell and execute the order himself via the trading platform. It is more an an ecommerce website where you don’t have to physically go to the super market to buy the product but just order it online. Just like E-commerce websites, the trading terminals also need to be protected against all malware or security threats. No information should be accessible to any other source. Hence, the most important feature of these portals is to be able to keep the data secure and protected against any misuse or threat and this is something all the Stock Brokers are keeping a close eye on. Moreover, the most used feature of a Trading Platform is its order placing capability. Each Stock Broker ensures that its Trading Platform provides a user-friendly interface for the users. This creates seamless trading experience for the clients and they don’t face any challenges while doing so. The order-placing tool needs to be very simple and easy to use such that any person, whether he is a beginner or a pro, can get adapted to it instantly. Many Stock Brokers provide Tutorial videos of trading platforms. This helps the beginners to get accustomed to the trading platform. The third feature used by the traders is the monitoring of real time updates and market trends. The traders are constantly watching markets updates and prices of stocks to be able to do their investments appropriately. That is why the Stock Brokers are continuously striving to provide easy interface and access to this information to their traders. Simple and graphical representation of this data is what needs to be delivered to customers. Trading platforms are providing the same to the clients. How to use a Trading Terminal or Trading Platforms? If you are starting out as a trader, the first thing that you need to do is to chalk out your trading plan and decide how and when you will trade. The trading Terminal or Platform is a great benefit to all frequent traders since it saves on their time. It is also very useful for new entrants in the Stock Broking field aswell. Trading Terminals are provided by the stock brokers. Getting yourself associated with a Stock Broker is also a very important decision that one needs to make. This decision involves Broker’s credibility, services that they offer, segments that they deal with and various other aspects. Once you have figured out the best Broker as per your convenience, you can go ahead and register with the broker by getting your Demat Account & Trading Account opened. Most brokers have no charges for opening up of the Trading & Demat account; however, you may want to cross check first with the Broker before going ahead with your decision. Once you open the Trading account, the broker would give you access to his Trading Terminal or Platform. You will get a unique user id and password for your Trading Platform. Once you login for the 1st time, you have to set-up your own password. Make sure you set a password that is not predictable or detectable one. This will prevent anyone to access your account. Do not share your username and password with anyone else as this this terminal will carry all your financial information. Stock Brokers have collaborated with Technology and launched some fantastic Trading Platforms to make the life easier for a trader. While the erstwhile traders had to visit the stock exchange or the broker’s office to place the orders, now things have become much more simplified and easy. You have complete control over your financial transactions and don’t need to depend on someone else for the execution. Since there is zero broker intervention, chances of errors could be high. Trading platforms have brought ease of trade and also flexibility for the traders. Due to ease new entrants have started trading in the Stock Market. Hence more and more people has started investment in Stock Market. With these online Trading tools, things have become much more simplified in the share broking space. Traders & Investors are now taking this as a good investment tool.